By the early 1930s, as America’s economy collapses, her marriage founders and Dorothea must find ways to support her two young sons single-handedly. Determined to expose the horrific conditions of the nation’s poor, she takes to the road with her camera, creating images that inspire, reform, and define the era. And when the United States enters World War II, Dorothea chooses to confront another injustice—the incarceration of thousands of innocent Japanese Americans." 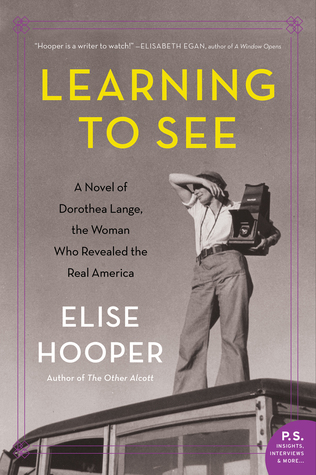 "Learning to See" is a fictionalized story of great American photographer Dorothea Lange. Even if you don't think you know her name, you probably know her work. She is best known for some of the work that she did capturing people in difficult circumstances during the early to mid part of the 20th century. This book gives a great picture of what Lange was like behind the scenes. Well-researched, this book has so much good detail. We get to see how Dorothea goes from a fledgling photographer to a very sought after photographer, well known for her work. As she is starting her career, she meets the volatile artist Maynard Dixon and starts a family. I really appreciated her meditations on the difficulty of having a successful career (especially during a time where this was just not something a woman did) and balancing it with a family. 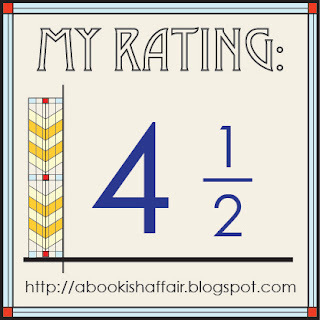 Dorothea feels pulled in a million different directions and wants to find a way to make it all work. I really liked the writing in this book. The descriptions are wonderful. 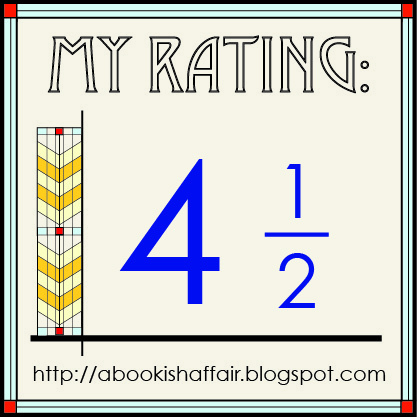 We get to see the action through Dorothea's eyes, which I thought was super effective in pulling me far into the book. This is a little hard to explain but I thought the author did a really good job of moving us through the highlights (and lowlights) of Dorothea's career and her personal life. Lange feels more like a friend. I loved getting to know the back story behind some of her most iconic work. This book is a great tribute to her! You've made me want to read this book. I haven't heard of this photographer but getting to know her through this will be a joy. I love photography and read a lot about her. I am so excited to read this, it sounds so inspirational! Thank you for being on the tour! Around the World in 2019!